Having a pet in the house is like having a child. It can sometimes be even harder to manage. The child grows and after a few years can comment about his or her health and other problems, while a pet is forever your child. Just like humans, pets are also prone to catch a virus and infections and one should be vigilant about Fido’s behavior. The first thing you should learn about your pup is how to identify if the pet is not feeling well or having health issues. By observing your pet’s behavior, you’ll be able to identify any signs of infection. Other symptoms require you to obtain advice from a qualified veterinarian. Using good products for your pet’s health is important. Some of the chemical based products have the potential to harm your pup’s skin or eyes. To maintain Fido’s eye health and skin care, you should always opt for quality products. One of the most common problems in dogs and cats is eye discharge, which is also known as mucus. 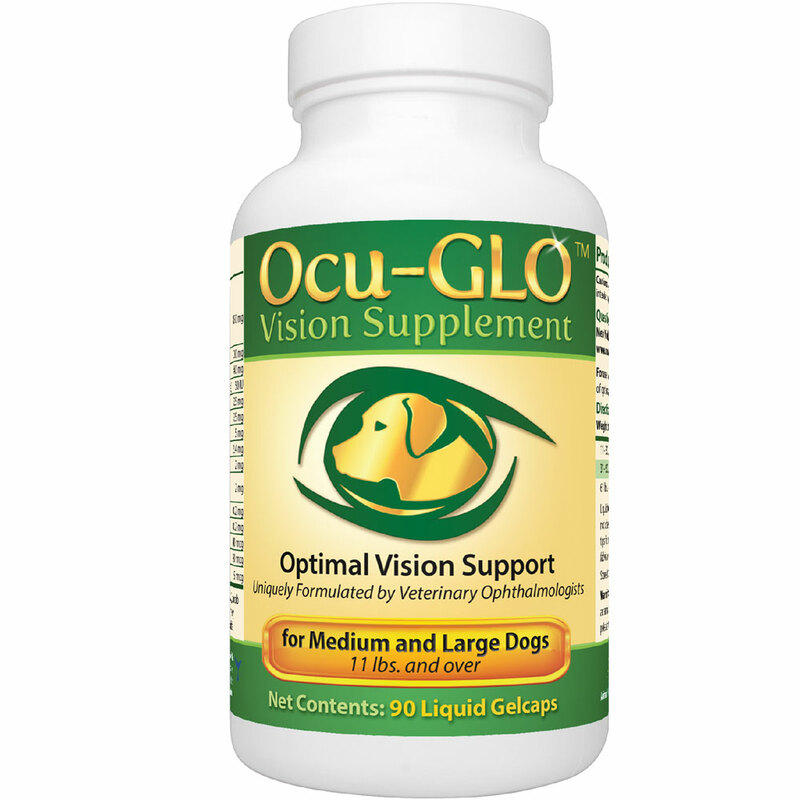 It can be caused by infection, glaucoma or any sort of allergies. Here, you can learn what you should do when your dog or cat is suffering from eye discharge. A clear eye discharge indicates that some allergies can be the cause. It also might happen due to something physical, for example, dust in the eyes. In many cases, blowing wind in the face can also cause a clear discharge in your pet’s eyes. Another common cause of clear discharge in your pet’s eye that resembles water indicates Fido has a foreign body in his eye, such as an eyelash. When the discharge seems like pus or is a yellow-green color, then it should be taken seriously as it can be an indication of an infection. It is better to consult your vet to find the root of the problem as any delay might result in blindness or loss of an eye. Don’t leave it untreated and taking the right steps is essential. Sometimes, the watery discharge or yellow-green pus from the eyes is a sign of conjunctivitis. It is an inflammation in the border of your pet’s eyes. Conjunctivitis can be caused by various factors such as injury to the eye, severe allergies, tear duct obstruction, birth defects, dry eyes, tumors, or a foreign matter could be lodged in his eye. To determine whether your pet is suffering from conjunctivitis or not you should also look for signs like red eyes, increased frequency of a blinking eye, inflammation, crusty eyes, squinting eyes, keeping eyes closed or pawing at the eyes. The best way to treat the condition is by finding what caused it in the first place. This elimination process is somewhat depending on the cause of conjunctivitis. It might include pain relief medication which reduces the irritation and soothes the area. However, to clear the infection, antibiotics or saline washes can be used. If allergies are the ultimate cause, then antihistamines and other medications might be the solution. All of these scenarios require you to consult with your local veterinarian to resolve and treat. It causes watery and teary eyes in dogs. Other signs include stains on the skin and also smelly skin or fur. In some cases, it also causes infection of the skin. This can be the outcome of various conditions such as allergies, inflammation, abnormal eyelashes, corneal ulcers, etc. If the medications do not work, then it might be eye pain or a tumor. The treatment is based on the cause. The conventional treatment includes using topical antibiotics, to treat tear duct inflammation. Steroids can be used if the cause is cornea damage followed by topical medications and antibiotics to clear up the symptoms. In cases of ulcers, abnormal eyelashes or duct obstruction, surgery is a reliable option. Dry eye occurs when the eyes are not able to produce sufficient eye-cleansing tears. This leads to a sticky eye discharge in dogs followed by inflammation. The eye discharge could be the result of injury, a hit on the head where the tear-producing gland is located, distemper, or the immune system is working against the tear gland tissue. If the eyes are infected, then your pooch might be suffering from severe pain and inflammation in the eyes. Ulcers on the surface of the eyes should also be taken seriously as the absence of the lubricating tears leads to scratching on the eyes by eyelids. It is painful for your pet to open and close their eyes in this situation. The treatment for this condition depends on its severity. If the eyes are mildly dry then artificial tears can be used for weeks. If the infection is in the second stage, then antibiotic eyedrops can be used to reduce the pain. Surgery is also an option when the condition is severe and immunosuppressant drugs are also helpful in developing a stronger immune system. There are few visible symptoms of glaucoma, such as bulging in the affected eyes. If both the eyes are affected, then it can be seen in both eyes. Cloudy eyes are also a sign of glaucoma, which is mainly caused when the eyes are under excessive pressure. This ocular pressure can be reduced using medication, but in many cases, surgery is the best option. Is it your dog’s breed that makes it more prone to eye discharge? Dogs of certain breeds are at higher risk of developing eye-related conditions. Dogs with a flat face, such as pugs, boxers, bulldogs, and Pekingese are at higher risk of suffering from eye discharge. These dogs have shallower eye sockets and protruding eyes. Eyelids in dogs that roll inward that are brachycephalic breeds are also prone to developing eye discharge. These dogs have more prominent eyes and the lashes cause a significant level of irritation in their eyes. Some dogs are not able to close their eyes entirely and for this surgery would be the best option. Dogs that have loose facial skin are also at higher risk of developing this condition. Such dog breeds are Beagles, Bloodhounds, Saint Bernards, etc. They are also more prone to the disease called” cherry eye,” where the gland in the eye falls from its position. Some vets offer antibiotics, but surgery is required to solve the problem. These are the main reasons that cause eye discharge in dogs. Eye-related problems in dogs and cats are also caused by brain injury or nerve injury. There might be other severe problems which could be the root cause. It is crucial for you to ask your vet to determine the root cause of any eye discharge in your pet and give treatment accordingly. How to apply medication on your pet’s eyes? Use warm water and a cotton ball to clean the discharge from the eye. Keep the eye drops close at hand. Before using the eye drops: tilt your dog’s head slightly, place your hand on his head without applying too much pressure. Too much pressure will prevent you from accurately aiming if your pooch moves. 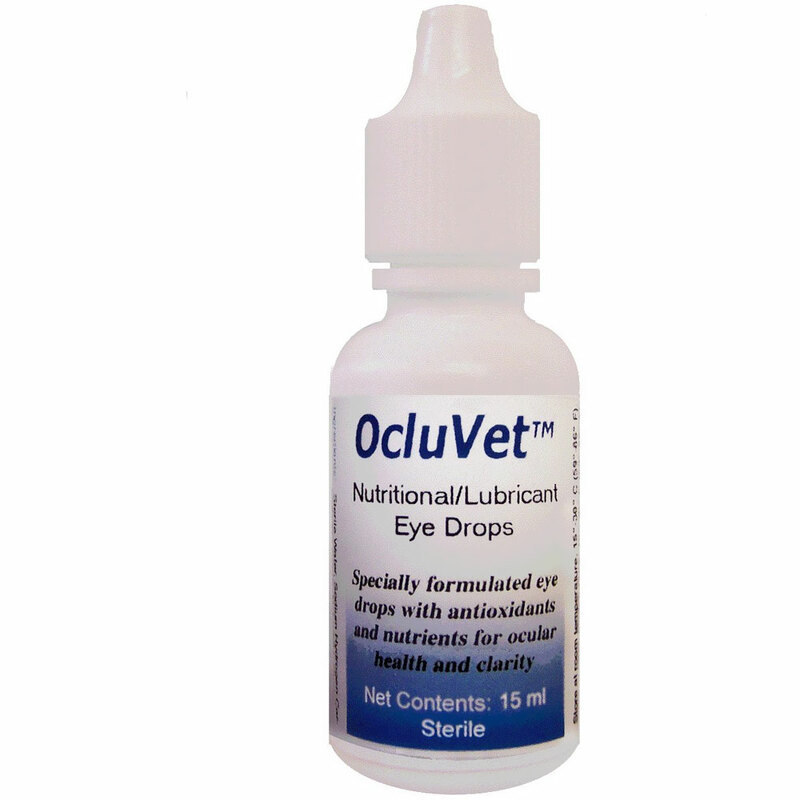 Carefully, squeeze the drops in a way that liquid drops in the upper part of your dog’s eye. When it comes to applying eye ointment, be gentle while pulling down his eyelids. 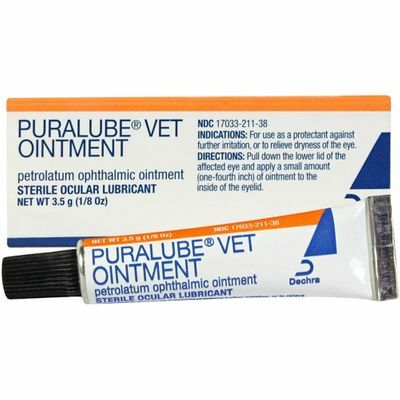 Rest your hand on Fido’s head to prevent yourself from hitting his eye with the applicator. Gently open and close the lids for a few seconds, so the ointment is spread properly. It involves examining your pet’s eyes regularly. Check the size of the pupils as it should be the same size. The eyes should be crust-free and bright. The absence of tearing is good, and the presence of some tearing is also healthy. The inner eyelids are generally not visible. The lower lids should be pink. However, if they are white or red, make an appointment with your vet. These are the things that you need to keep in mind to ensure that your pet eye health is in perfect condition. You should always remove long hair around the eyes, visiting a groomer regularly, use tested soaps and shampoos. By observing your pet’s behavior as it can tell you a lot of things. It is also important that you visit the vet before you go with any home remedies for your pet’s health.